“Can we go to the skull fort?” an excited voice shouts through the headset. I look over and see my nephew on the ship’s prow, clutching a telescope and signalling over to a terrifying skull-shaped cloud in the sky. Against my better judgement, I agree to his request, and over the course of the next two hours we battle countless waves of skeletons while fending off brigantines, sloops, and whatever else the sea can throw at us. For my nephew and I, Sea of Thieves has become an important way of keeping in touch, as it has for many families who play the game. Between his busy social calendar of football and children’s parties and my own hectic freelance career, pencilling in some quality time has become increasingly difficult to arrange. But with the aid of Rare’s shared world adventure game, we’ve been able to hang out and create hilarious and unforgettable memories while on the seas. I’ve taught him how to drink grog — don’t tell his parents — and schooled him on how to wield a sword like a mighty pirate, 90’s adventure game insults and all. But perhaps my favourite moments are when we’re at sea together, where the achievements I often take for granted while playing with people my own age become momentous feats to be celebrated once again. Whether that be sinking the skeleton ships that arrived with the Cursed Sails expansion or defeating the enormous megalodons from the Hungering Deep, which rise from the depths to waylay unsuspecting victims. We’ve not been alone in this, either. 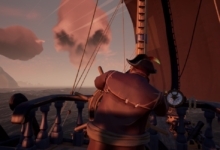 Since I asked on Twitter about players’ experiences with the game, I’ve heard from from people like twin 16-year old boys who play with their 59-year old father who had never touched a video game before, and two brothers in their twenties who live six hours apart and keep in touch via their piratical adventures. 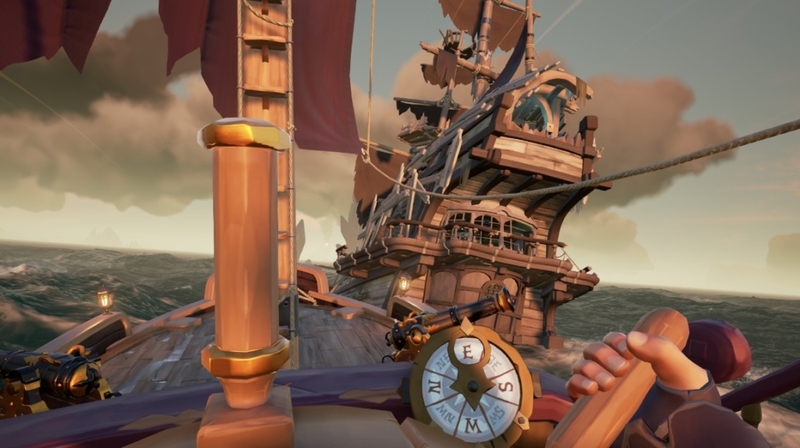 For many, Sea of Thieves seems to be an excellent way of coordinating family time together and keeping in touch with relatives over long distances. One reason for the game’s popularity across different age groups is its accessibility. 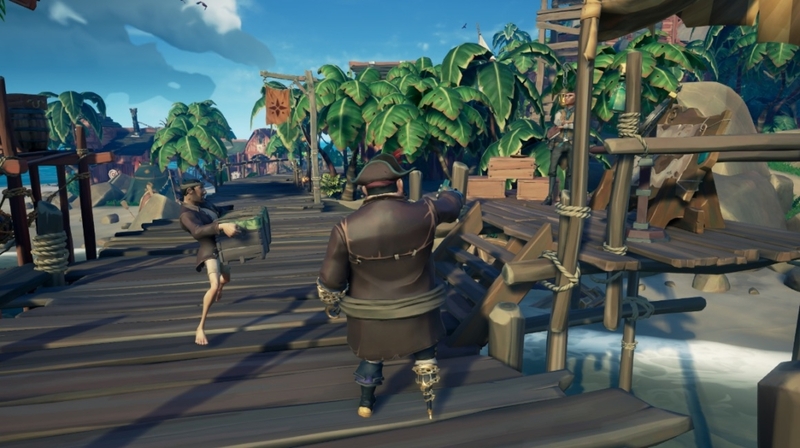 Whereas typical live-service games are usually built on the idea of vertical progression through earning loot and upgrades, Rare ditches this concept in favour of a cosmetic-based progression system. This means that everyone entering the game is on a relatively even keel, regardless of how much time they’ve spent playing. She tells me about a recent voyage she had with her kids, trying to complete the new time-limited reaper runs. Here players must raise a glowing, red flag, revealing their presence to other pirates on the map, and complete a profitable and dangerous quest across several islands, digging up buried chests. Captain Hitbotc, a YouTuber and streamer from Oregon, has had a similar experience with the game. He’s been running game nights with his family — who are spread across the US — for the past five years. But Sea of Thieves has connected them in a way others game simply haven’t. You can see this across his videos, as he creates daring adventures with his crew The Black Death, comprised of his nieces, nephews, brothers, and sisters. One of his favourites is the time he snatched an Athena’s chest from under another crew’s nose at Morrow’s Peak outpost, with the help of his sister Shapijc, detailed in the video The Great Heist. Another aspect that makes the game an excellent fit for families is the abundant downtime. 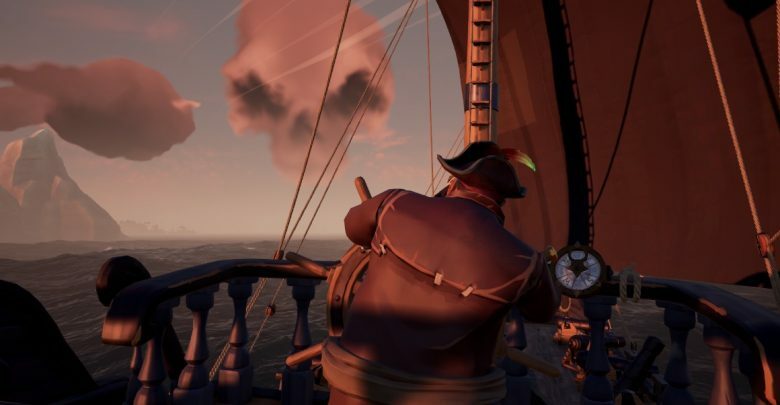 Between voyages in Sea of Thieves, there is usually a slight lull in activity as you sail from island to island. It’s here that players can let their mind wander a little and strike up some conversation with their fellow crewmates. Rather than using traditional communication apps like Skype or FaceTime, Bevivino and others like him prefer using the game as a virtual space to spend time with loved ones living in other states, and in some cases, ironically, across vast stretches of ocean. Carrie Linden, a 40-year-old teacher and streamer from California who goes by the name Chocmoojoo on Mixer also uses the game to stay connected with her family. She plays the game with her father who is in his early 70s and lives roughly 400 miles away in north California. For them, it’s all about the spirit of adventure and sharing experiences and interests such as sailing and model ship building. “Facetime and Skype are just apps to talk, that’s not really the same as adventuring with someone,” says Linden. “When I lived up north, my dad and I did things together: camp, hike, yard work, science stuff, art projects, game, etc. So, we enjoy being able to log on and adventure, it means even with the distance we can still share an activity and an experience. When Sea of Thieves first launched in March 2018, I doubt many would have predicted it would be adopted in this way. Nevertheless, it’s become an important way for many families to interact and keep in touch with one another. In the game’s lore, the Sea of Thieves is often depicted as a cruel place where self-serving souls go to make their fortune, but for these individuals, and myself, it’s as much a place to treasure what we already have.